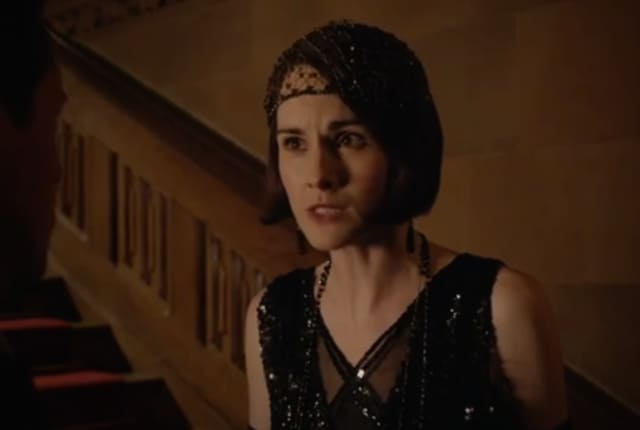 Watch Downton Abbey Season 6 Episode 8 Online to see a spiralling Mary make a move that shocks everyone and threatens Edith's happiness with Bertie. Watch Downton Abbey Season 6 Episode 8 Online and see Mary struggle with her decision to end her romance with Henry. Meanwhile, Mrs. Patmore deals with a scandal and Thomas does something that shocks everyone. Edith: The one thing Mary can't bear is when things are going better for me than for her. Bertie: I'm sure that's not true. Edith: You don't know her. I'm getting married and you've lost your man. And you just can't stand it. Mary: You're wrong. I'm very happy for you. And I admire you, Bertie. Not everyone would accept Edith's past. You're a coward, Mary. Like all bullies, you're a coward. Permalink: You're a coward, Mary. Like all bullies, you're a coward.